My research group designs and synthesises fluorogenic probes for the spatiotemporal imaging of reactive oxygen species in live cells. A number of applications to fundamental understanding of ROS in disease onset and towards new diagnostics are in progress. We are currently extending the use of this redox active probes to the chemical mapping of redox reactions not only on cells but also on nanomaterials, e.g. 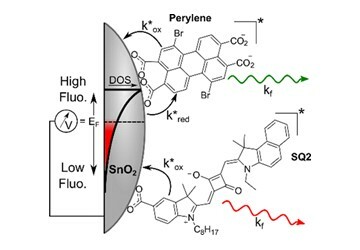 semiconductors, exploiting newly developed single molecule spectroelectrochemistry tools. 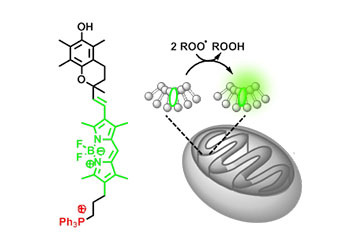 49) Krumova, K.; Greene, L, E.; Cosa, G. Fluorogenic a-Tocopherol Analogue for Monitoring the Antioxidant Status within the Inner Mitochondrial Membrane of Live Cells, J. Am. Chem. Soc., 135, 2013, 17135-17143. 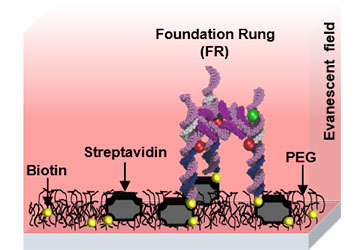 We work on the construction and single-molecule fluorescence study of hybrid lipid-conjugated polyelectrolyte nanostructures. 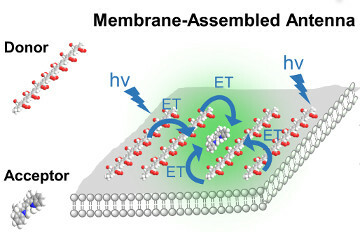 The new structures provide a platform for fundamental photophysical studies on conjugated polyelectrolytes and towards developing biosensors. 53) Karam, P.; Hariri, A.A.; Calver, C.F. ; Zhao, X,; Schanze, K.S. ; Cosa, G.; Interaction of Anionic Phenylene Ethynylene Polymers with lipids: from membrane embedding to liposome fusion. Langmuir, 30, 2014, 10704-10711. 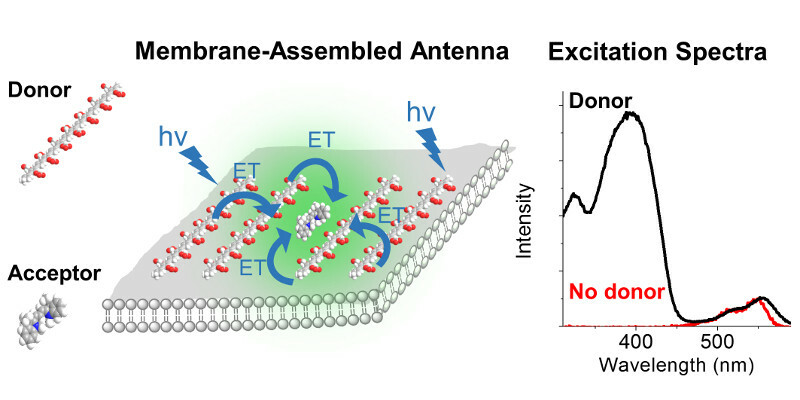 A major thrust in our research group is to develop single molecule spectroscopy methods to assemble study and characterize DNA based nanomaterials. 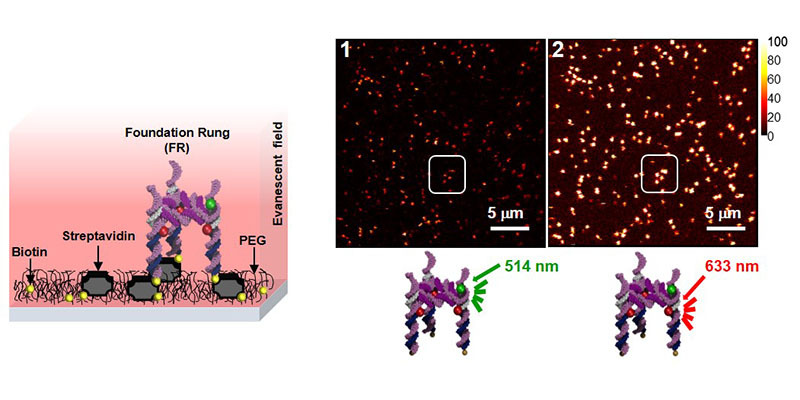 Work in collaboration with Prof. Sleiman of McGill, has demonstrated the assembly, single molecule fluorescence visualization and structural characterization of single DNA nanotubes of predesigned shapes. 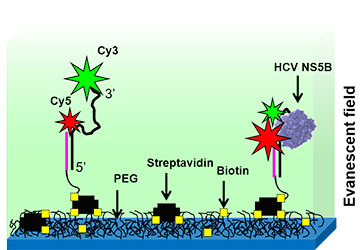 Our single molecule spectroscopy work extended single molecule fluorescence methodologies to mechanistic enzymatic studies on the activity of viral enzymes, involved in virus replication, in the presence and absence of inhibitors, providing a mechanism for enzymatic activity and drug inhibition. 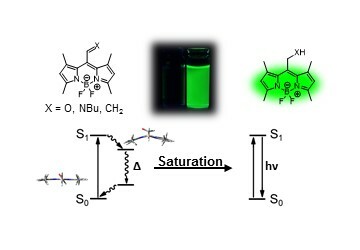 67) Glembockyte, V.; Lin, J.; Cosa, G.; Improving the Photostability of Red- and Green-Emissive Single-Molecule Fluorophores via Ni2+ Mediated Excited Triplet-State Quenching. J. Phys. Chem. B, 120, 2016, 11923-11929. 55) Glembockyte, V.; Lincoln, R.; Cosa, G.; Cy3 Photoprotection Mediated by Ni2+ for Extended Single-Molecule Imaging: Old Tricks for New Techniques. J. Am. Chem. Soc., 137, 2015, 1116-1122.